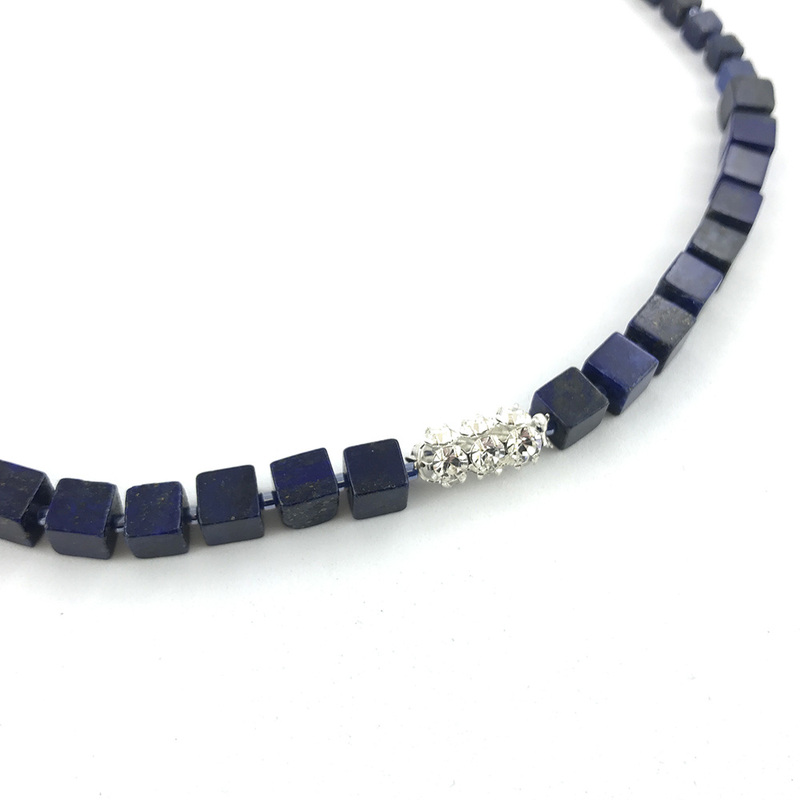 A gorgeous Lapis Lazuli gemstone necklace with Sterling Silver clasps and findings. It would make a great gift! This gorgeous necklace measures approximately 17″, and supplied in a gift box. 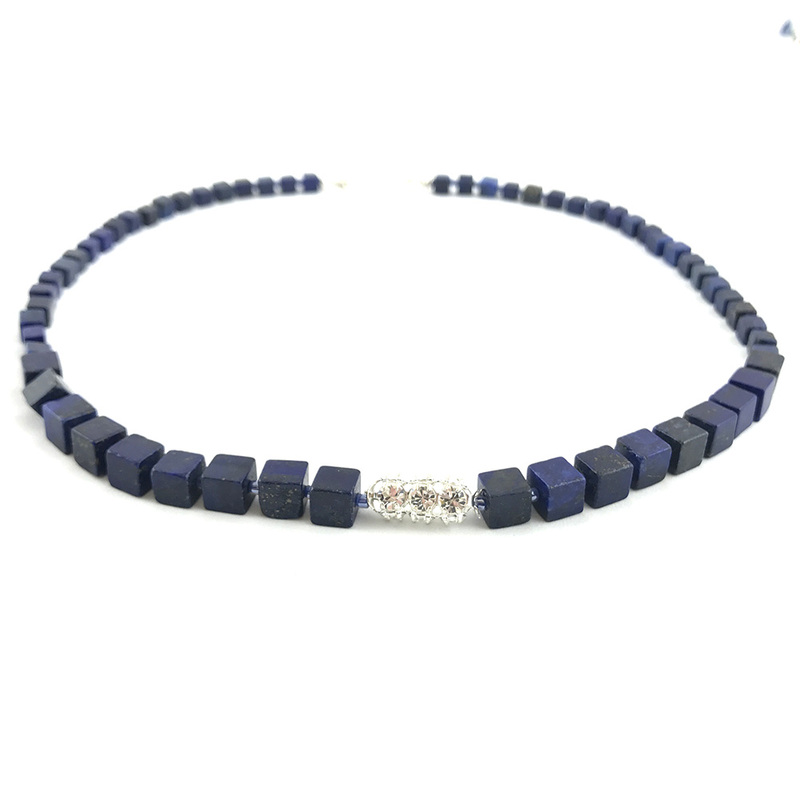 A gorgeous Lapis Lazuli gemstone necklace with Precosia Czech crystal centrepiece and Sterling Silver clasps and findings. It would make a great gift! 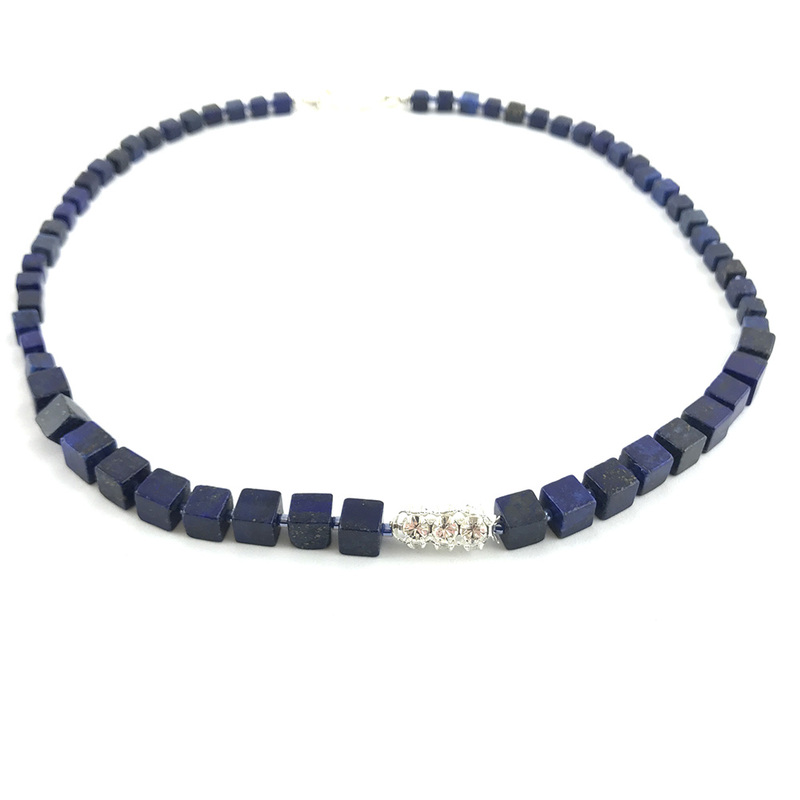 These Lapis Lazuli gemstones will bring a wonderful unique artisan style to your look.